Celebrate the classic fun of blowing bubbles and the love of playing outside with this cute little CHARM IT! 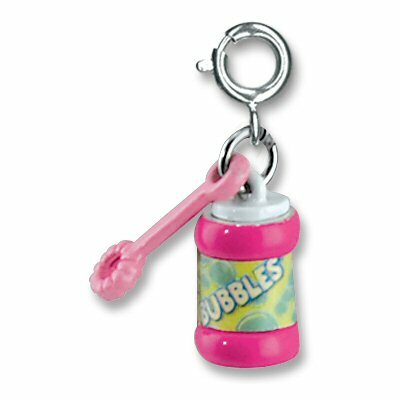 Bubbles Charm. Complete with a dangling bubble wand, this Bubbles charm features a hot pink 3-dimensional bottle, white cap, and Bubbles label. With a simple snap of a clasp, girls can easily personalize their charm bracelets with this adorable CHARM IT! Bubbles charm. Personalize your charm jewelry and show off your love of journaling with this fun CHARM IT! My Diary charm. This colorful Rainbow Open Star charm features sparkly acrylic stones in a rainbow of colors on a white die-cut star.